There needs to be common standards for halal products and services within Asean to support the growth of the industry here. Realising this growing market, more marketers are venturing or looking into the halal business to promote their brands amid strong demand for halal products. US halal food regulations… Are you up to speed? Halal food consumption among the nation’s fast-growing Muslim population has become a ballooning enterprise in the United States and is now estimated at over $20 billion. Global brands are waking up to the massive opportunities of the worldwide Muslim market but many still misunderstand or ignore the potential of a burgeoning sector. 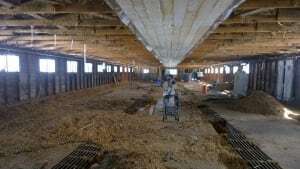 A Halal slaughterhouse was born of need, as the demand for halal meat in Finland has increased due to immigration of Muslims. Russian poultry processors are already preparing to export Halal chicken to countries in the Persian Gulf and North Africa. ICCIA in Jeddah selected Qatar to be the headquarters of a pan-Islamic authority which will be responsible for issuing Halal certifications. London Based Nature’s Well Labs Launches First “HMC Halal Certified” Vitamin Range for UK Muslims. Products already have Halal certification but for next year they will need to look at facilitation and processing of licensing requirements for the national Dubai Halal mark. Bumiputera participation in the halal industry is still lagging as up to 70 per cent of the players are non-Bumiputeras. The couple say they will be able to offer customers halal meat if they choose. They say with influx of Syrian refugees coming to Canada they know there is a demand. Jakim who has positioned itself as an international Halal expert and authority may not be seen as the only international compliance regulatory framework on Halal. GeneStat, developed by a team from Universiti Putra Malaysia (UPM), makes use of the HaFYS Porcine DNA Detection Assay system to detect traces of porcine DNA. 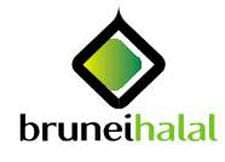 THE country’s flagship Brunei Halal brand is looking to penetrate the markets of six countries this financial year. The world’s first Global Halal Data Pool offers massive trade opportunities for halal products and services providers, when it connects to the global data syncronisation network. WHAD is collaborating with Yayasan Media Hebat to organise a Malaysia-Italy Halal Summit 2016, to be held in Italy in November this year. Mida identified new Halal growth clusters like pharmaceutical, cosmetic and personal care products, medical devices, and logistics to be further promoted and developed. Muslim community are excluded as the roasting cuts promoted are not what the Muslim independent butchers would recommend to their Muslim customers.